I must say sorry because so many of you don’t know about this anime. As you may know, some of my cosplays are too minor such as Antique Bakery, or Fullmoon wo sagashite. Even though there are so many fans, most cosplayers don’t cosplay a character from such a minor series. But I do. This is why people say I am rare. Anyway, my favorite series are Mirage of Blaze, sweet pool, and Hakuouki…yes, they are for otome or fujoshi. 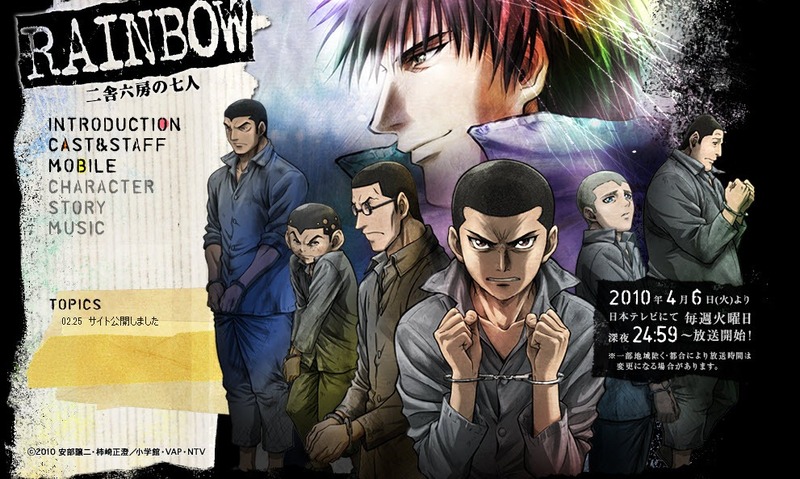 But this time, how come I love Rainbow-Nisha rokubou no shichinin-[二舎六房の七人] that is neither shoujo manga nor BL series? Besides, this is not even from Shounen Jump, but a weekly magazine named Young Sunday. This story’ setting is in the early of 1930’s when it was a bit after Japan was defeated in the war. The leads are seven delinquent young boys in the jail. Even though they are having a lot of terrible times, they strive to live on for their own. Sometimes it is too painful to see as the boys are hit by the mean guardman or get sexually hurt by the doctor. But even in such a hell, they never give up and face to the reality. No matter how hopeless it is, they belive in each other and keep going…I don’t even remember how much tears I shed while I was watching this anime. Maybe I tend to love a jail thing such as Shawshank Redemption, Prison Break, or Lucky Dog. Yes, including this anime. Anyway, I decided to cosplay him. 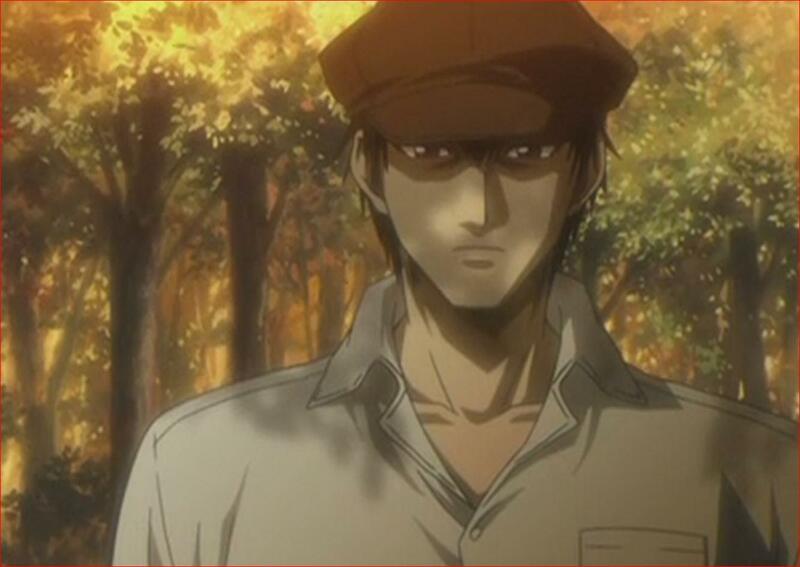 He is Minakami Mario, called Mario by his inmates. In fact, he doesn’t seem to be the lead first as this anime has two parts. Mario is actually the hero in Part 2. I shouldn’t give away any spoilers, so I can’t say why Mario becomes the hero. I would be very pleased if you could try this anime. Ladies and gentlemen, my name is Sebastian Michealis. 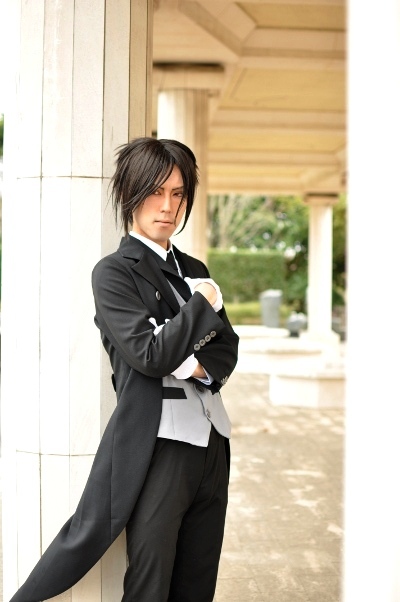 I am a butler who is working for my goshujin-sama, bangin. I am terribly sorry since he hasn’t updated this blog. I shall apologize to you all. As you may know, there are a lot of concerns in Japan. However, my lord is doing his best, and he always hopes things are going to be better. Also, he really wants to say thank you as lots of his readers encouraged him. I am quite pleased as well. My lord won’t come home tonight since he has to work overtime, so I, Sebastian Michealis shall be humbly at your service.